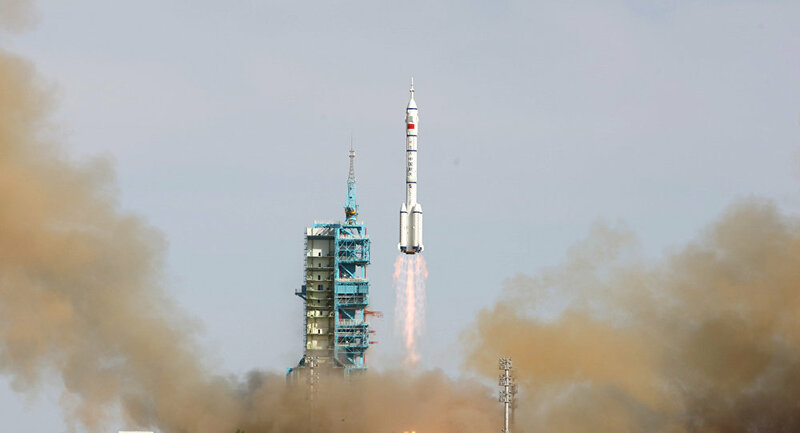 Director of the international cooperation department of China National Space Administration Xu Yansong stated that the third launch of the carrier rocket Long March 5 with the satellite Chang'e-5 will take place in the end of November, approximately on November 30. BEIJING (Sputnik) — China plans to launch Chang'e-5 lunar mission on November 30, Director of the international cooperation department of China National Space Administration Xu Yansong told Sputnik Wednesday. "The third launch of the carrier rocket Long March 5 with the satellite Chang'e-5 will take place in the end of November, approximately on November 30. These are our plans so far," Xu said on the sidelines of the Global Space Exploration Conference (GLEX) 2017. As part of its lunar program, China plans the launch of the satellite that would collect the samples of the Moon soil and return to Earth. GLEX-2017 is carried out in Beijing on June 6-8. The second launch of China's high power carrier rocket Long March-5 [Changzheng 5] is planned for July 2, according to Xu Yansong. "The second launch of Long March-5 carrier rocket is planned for the late June or early July, approximately July 2," Xu said on the sidelines of the Global Space Exploration Conference (GLEX) 2017. Media reported that the carrier rocket was already transferred to the Wenchang Satellite Launch Center earlier in May in preparation for launching a communications satellite.